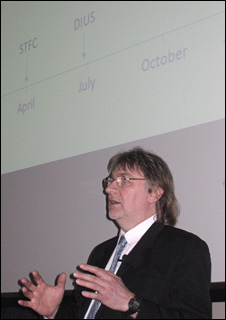 Professor Keith Mason is chief executive of the Science and Technology Facilities Council (STFC), which funds astronomy and particle physics in the UK. The STFC has been embroiled in a storm of criticism over cuts to its science portfolio. BBC News science reporter Paul Rincon interviewed Professor Mason in Belfast, where he was preparing to address astronomers gathered for their annual meeting. Paul Rincon: Have you been surprised by the strength and organisation of the opposition to cuts proposed by the STFC? Professor Keith Mason: Well, I think one has to first of all recognise why we're having to make economies in certain areas of our programmes. That's because there is a restructuring of the way science is funded in the UK. There is more money going into science; but we had a situation up until very recently where the university research base in particular was not sustainable. The fabric of university buildings, for example, was deteriorating and nobody was paying for them. We are changing that. We're going to an era of Full Economic Costing. We're putting a lot more money into universities for the research they're doing. This unfortunately means that is taking up the new money in the short term; but it will be worth it in the end. So we're in a situation where, after the Full Economic Costing revolution - and it is a real revolution - that the university research base will be sustainable. We will be able to maintain the cutting edge. And then we'll be able to start growing our programme again. But the situation we're in now is that we are having to make some economies. And let's not overstate the size of the economies - it's £30m a year on a £400m programme. We have to make some economies in the short term in order to put the research on a sustainable basis in the long-term. PR: There has been come criticism that in trying to fund some of the more applied science programmes with, perhaps, more potential economic benefit, you are cutting basic research which feeds into and supports those applied areas. Is any of that criticism justified? KM: I think there is a fundamental misunderstanding there. We're not cutting pure research in order to do applied research. Everything we do has a very high "blue skies" content - it's in the nature of what we do. This is not the issue at all. Quite the contrary. The issue is simply to put the research base on a sustainable basis. Our line is we need to do more research, more pure research, more fundamental research, because that's where the real advances come and then they feed into the economy on timescales that can be quite short, but is often very long. And we need to recognise that there's that spectrum of response as well. But what we need to do differently is, first of all, we must not stop scientists from doing pure research. We do not want to turn scientists into salesmen. Quite the contrary. We want to leave scientists doing what they do best, which is the research. But we must put in mechanisms to capture that research and capture the ideas - and there are many of those that we are not using - to capture those much more effectively, so that we can benefit the economy. And if we can benefit the economy, we can afford to invest more in research, so everybody wins. PR: I wanted to ask about the Gemini telescopes. Some observers have seen that as a bit of a flip-flop by STFC, where you were in and then you were out. What is the current status there? KM: Again, we have had a consistent line here. There has been some misunderstanding over Gemini. We have never withdrawn, or indicated that we would withdraw from Gemini. The issue with Gemini is the re-equipment of the instrument base for Gemini. We are currently in Gemini until 2012, but the new instruments don't come online until 2014, 2015. So we needed to have a debate about whether we should pay for those instruments because if we're not going to stay in Gemini beyond 2012 then clearly it's not sensible to be paying for instrumentation that you don't use. But I think this did lead to a bit of a misunderstanding with our international partners. That is all very unfortunate. But it's all water under the bridge now, we've sorted that one out. These things do happen occasionally, and they're not at all unusual. But our line has been consistent. We do need to understand how we're going to take our partnership with Gemini into the future, or whether there are other things we need to invest in in terms of, for example, building Extremely Large Telescopes through the European Southern Observatory (Eso) route. We have to define a strategy over the next year or so. And that will be a forward-looking strategy which needs to be affordable. Of course, there is no point in having a strategy that's not affordable. But we will be doing that and we will be talking to people about what the requirements are: when do we need a 30m telescope? and do we need it sooner rather than later? And if we need it sooner rather than later then we have to stop doing something else in order to accelerate the development of that. But these are hard decisions, and decisions that we are determined to face up to, because that's what our job is - to keep the UK at the forefront. PR: It must be unprecedented that the Royal Astronomical Society [council] expressed a lack of confidence in STFC's handling of the situation. What are you doing to reassure the scientific community and respond to their criticisms of STFC decisions? KM: Well I think the origin of some of the criticisms is the fact that we are a new research council. We have a much wider remit than the predecessors to STFC and the astronomy and particle physics communities have been used to having - over the last 13 years - with their own research council in PParc (the Particle Physics and Astronomy Research Council). Now that activity is embedded in a larger entity. I believe people were naturally suspicious of the motivation for the merger (PParc with CCLRC, Council for the Central Laboratory of the Research Councils) - whether that meant there was going to be a downplaying of astronomy and particle physics. As a result of that, they've been very focused on every action we've taken. What I can tell people is that there is no hidden agenda here. Particle physics and astronomy is incredibly important. We believe it is important. We will continue to push for that area of science, alongside our other wider responsibilities. I think one of the big advantages of the new research council with its broader base is that we can exploit the synergies between research areas more effectively. Interdisciplinary research - that's where the big gains are. We've got to get people out of their silos and thinking in broader terms. For example, the same technology we need to build a very large telescope is the same type of optics we need to possibly build a workable nuclear fusion generator that might address the world's energy needs. That kind of technology cross-talk between various areas is incredibly important. We need to take advantage of that and that's what we're seeking to do. PR: Why has the "flat cash settlement" hit STFC so hard? Could anything have been done differently - at a government departmental level perhaps - to improve things? KM: The flat cash in the research councils is something that is affecting all the research councils. The reason is that the new money - and there is lots of new money going into research - is going to make the research sustainable through Full Economic Costing. It particularly hits the STFC, perhaps, more than some other research councils, because our programmes are long-term. We will get through these short-term difficulties - we have a very healthy programme. Other research councils can get by through just awarding fewer grants - by starting fewer new activities, because they tend to fund things on a short timescale. At STFC, our programmes are long-term - lasting 15 or 20 years in some cases. And the only way to cope with the erosive effect of inflation which reduces the amount we can do is to stop things - and that's painful. It's natural that people who are working on facilities that need to be discontinued get upset - I would if I was them. So some of the reaction is, perhaps, understandable. But we are where we have a finite budget. We have to use it in the most effective way and we can't fund everything. We have many more new ideas than we can possibly ever fund. 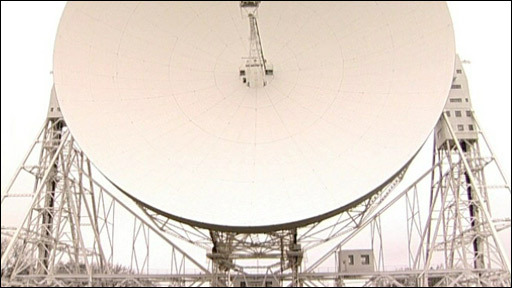 PR: There have been recent reports in the media that Jodrell Bank in Cheshire could be threatened by cuts to its programmes. Can you reassure people that it will stay open? KM: Firstly, whether Jodrell Bank stays open is a matter for Manchester University not us, because we don't own it. The issue that has been discussed in the press, particularly, revolves around funding of eMerlin. We had some advice from an independent group of scientists which rated eMerlin as being in the lower priority category. But when we released that prioritisation, we put a rider on it saying that the STFC council recognised that there were wider strategic issues involved here. And this is the case. One of the other things in our prioritisation is the Square Kilometre Array (SKA), which is the future of radio astronomy. 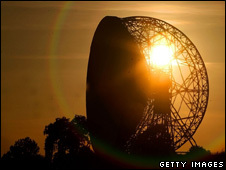 That is also run out of Jodrell Bank and is of the very highest priority for us. It's something where the UK can be the world leader. We are already leading that project out of Jodrell Bank in a European context. We can take a world lead in that, provided we invest in it soon. And the issue with eMerlin is really the fact that that programme is running several years late and it means that if we continue to support that at the current level, we might not be able to start our activities in the Square Kilometre Array at an opportune time to retain the lead. Now, that doesn't mean we're not going to fund eMerlin or fund Square Kilometre Array. But we have to think these things through. We have to talk to the University of Manchester about how we get to where we need to be with both of these projects. And as I said on a previous occasion, the furore in the press about Jodrell Bank has been very misinformed in many ways. Reports of Jodrell Bank's demise are overly exaggerated, certainly. That's not in our mind at all. We always have to make hard choices. We have a long-term goal, which is the Square Kilometre Array, and we need to understand how to get there. eMerlin is part of the pathway for getting there. But the rate at which we invest in eMerlin, the rate at which we can invest in the Square Kilometre Array - those are things we have to determine very carefully and very sensitively if we are going to get to where we want to be. PR: The head of the Cockcroft Institute (the UK's new accelerator science centre) recently said Daresbury Laboratory, also in Cheshire, could close if certain programmes there are cut. What would you say to people about the future of those two sites? KM: Daresbury is one of our flagship science and innovation campuses. And the key thing is: science and innovation. They are both important. Daresbury has been going through a low recently because of the closure of the Synchrotron Radiation Source (SRS). The new Synchrotron Radiation Source (Diamond) has been built at Harwell (Oxfordshire), which was a decision made many years ago. But it is only now we are getting to the point where SRS actually closes and clearly that causes some problems - some distress. We're having to make some people redundant as a result. But the future of Daresbury is something we're working very hard to secure. Our vision for Daresbury is a science base which is much broader than one based just on synchrotron sources. That's what we're working towards and we'll be making announcements in the next few months to put meat on those bones. But I'm clear in my mind that Daresbury is already a very successful site. We were there with (science minister) Ian Pearson (on 3 April), opening a new innovation centre and the buzz around it was just incredible - very, very positive. Daresbury is going places, scientifically as well as on the innovation front. It will be one of our flagships. We're pushing it as hard as we can. It will be a fantastic place to be. PR: Lastly, what's your prognosis for UK particle physics and astronomy over coming years? KM: With the advent of Full Economic Costing, there's actually a lot more money going into UK physics and astronomy - into the university system - than there was a few years ago. And it is creating a sustainable base which will stand us in good stead for the future. It's very important and I'm going to keep pushing it. We will get through these short-term difficulties - we have a very healthy programme. We have new facilities coming online yearly. We have Alma (the Atacama Large Millimetre Array) coming online. 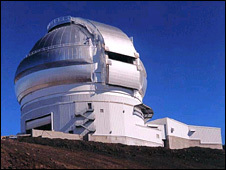 I just got a message from our people in Hawaii a couple of days ago that the Scuba 2 camera is now being put into the JCMT (James Clerk Maxwell Telescope) dome. This is a world-leading technology that will keep the UK at the forefront of sub-millimetre astronomy. It's incredibly exciting. There are lots and lots of things to look forward to and I'm incredibly enthusiastic about it. 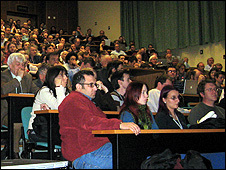 We solicited your comments on the financial woes currently facing UK physics and astronomy. The comments below relate to this page and the parallel interview with Sheffield University's Prof Paul Crowther. Having close links with Daresbury Lab in Cheshire I am personally seeing the impact this is having on the morale of the staff and scientists. This facility is fantastic and if you had attended any of the open days which they hold for the staff, their families and the local schools you would really see what motivates children to go and study science. Removing this kind of hands on access to science will damage our science capability for generations to come. The cuts are very shortsighted. Science is an essential part to every day life without it how would you drive to work in a morning , heat the water to make a brew or find cures for cancer. The STFC chief exec is quoted here as asserting "We have never withdrawn, or indicated that we would withdraw from Gemini." Compare this to the STFC press release of 15th November: "the STFC informed the Board that the STFC, in shaping its programme for the next 3 years and beyond, is planning to withdraw from the Gemini Observatory." Is it any wonder there was "a bit of a misunderstanding"? Paul Crowther's www page includes a good summary of contradictory statements from STFC on this issue. There is more than a little irony in Keith Mason laying the blame for astronomy's current funding problems on the introduction of Full Economic Costing (FEC) as a mechanism to make research properly sustainable. The grant that supports astronomy research here in Nottingham was scheduled for renewal last year. We duly put in our bid for support, including the level of FEC that had been calculated as appropriate for sustaining research (using an official audited process called the TRAC protocol). The grant was highly rated by the review panel, and recommended for funding, including the level of FEC that we had requested. There was then a lengthy delay as the full extent of the funding problems in STFC became apparent. Finally, the grant was announced, but in order to try and meet some of its budget shortfall, the recommended level of FEC had been slashed by more than a factor of two. Consultation with other universities that had grants in for renewal this round indicates! that they suffered comparable arbitrary cuts in the level of FEC awarded. If our experience is anything to go by, STFC is not spending its new money on anything like the level of FEC required to sustain a research programme. I found Keith Mason's response to the question about Students wondering if it was worth staying in astronomy to be quite insulting. I am approaching the end of a four year masters degree in physics and astrophysics and have been planning to do a phd in some are of space research. The reason I, like other students, am worried by the cuts is not that I feel I won't make money but that the cuts will make it harder for me to find a job at all! It is the nature of the economy the STFC claims to be supporting that you need to make money to survive. I know that a research career in astronomy will never make me a millionaire. If I wanted to make money then I would work in the city where physics degrees are in high demand. My reasons for wanting to get into astronomy research are my curiosity and desire for knowledge, not wealth. However I can't do this for nothing. Perhaps we should ask how much Prof Mason earns for leading STFC. Surely serving your country shouldn't be about the money? The really stupid aspect of the decisions was that previous funding of millions of pounds had gone into developing capital facilities like eMerlin only for them to be stopped. eMerlin is due to come on stream this year but for a cost of 1/3 an England football manager we will lose any benefit from the millions spent over the last few years - this is called sensible planning! As a physicist (and "part time"astrophyz) I feel very disappointed by the sudden cuts in funding. I fear that the lack of funding could be a major set back and that the position of the UK will suffer eventually. Space technology has been providing jobs for many, and advances in science and technology do not come only from the bio/ chemistry part. May I add that I have nothing against biologists or chemists. Nuclear power is bound to take more importance if we want clean energy. How can we do it if research, and training at the grassroots levels are impeded? When I learnt of the closing of Reading university's physics department, I felt betrayed. The other critical problem for the lack of funding will be the lack of jobs for fresh graduates and postgrads leading highly skilled worker seeking jobs abroad. Very bad for UK's economy. Britain is one of the richest countries in the world and our Science research is world class. I'm disgusted that the government cannot be bothered to provide the funding required. This research could benefit the whole of mankind and I find it incredible that it is treated with such disrespect by the Government. Has anyone noticed? It's the countries that invest heavily in science and technology education and research that are the wealthiest and happiest? What does UK do? Close university chemistry departments and fund art galleries and theatre groups. I was funded by PPARC (the predecessor of STFC) to study my Astrophysics PhD and I am appalled by the continuing stories of cuts and projects under threat. Fundamental physics research is so important to the UK - not just economically but also culturally. This £80 million shortfall represents less than 0.1% of either the NHS or social welfare budget! Why can't the government just write STFC a cheque? I'm a science teacher. The government has provided incentives for certain science undergraduates to specialise as science teachers because of a predicted shortage, and all that implies for the UK's future. In parallel we have crisis-management by STFC members, talk of "taxpayers' money" and that "taxpayers have a right to a return." What constitutes this future "return" is not clear, nor even how they predict it, but it's news and there is no disguising this fatuous situation from my students: not one of them wants to be a scientist, or a science teacher. Reading the above article it seems to me that what we don't want is investment into research being dictated by media interest lobbying and vested interest. The job of deciding the level of resources in the various area's will always be contentious however, I would think that it would be important to make the decisions transparent and for changes to take place over a three to five year time frame to enable the changes in the number of research graduates needed in each area to be planned for. There is only one thing that you can guarantee and that is the decisions will be wrong at least 30% of the time. I personally think to much of our research funding is being spent on particle and astro physics. Just to make it clear the funding body have been given an 11% rise in latest 3 yr budget by Government. The point is 'Was the government made fully aware of the impact of introducing FeC during the spending review?'. Also short-term funding problems become long-term problems as expertise lost is not easily regained. In this interview Professor Mason comes across as being the mealy-mouthed puppet of a weasel Government that is cutting science budgets, hiding behind terms like "Full Economic Costing", "Flagships" and "Visions". Is this man a champion of the UK science or a champion of his government masters? From now to the end UK will depend of USA Crumbs. We can waste billions of pounds on Iraq and the Olympics but can't find what is a relatively small amount of money to support our technological future. It's time our government woke up. £1bn was found for the millennium dome, £9.3bn for the Olympics, £100bn to bail out Northern Rock. And yet £80m, spread over 3 years, can't be found to cover a science budget shortfall. Where are the government's priorities? If they were truly committed to science, this money would be made available immediately!! !